Popular struggles– ranging from earliest modern labor movements in Britain and the US, to the global Black Liberation movement, to Energiewende and other climate justice campaigns in Europe– have all demonstrated that to be successful “resistance” work must go hand in hand with concrete visionary organizing. 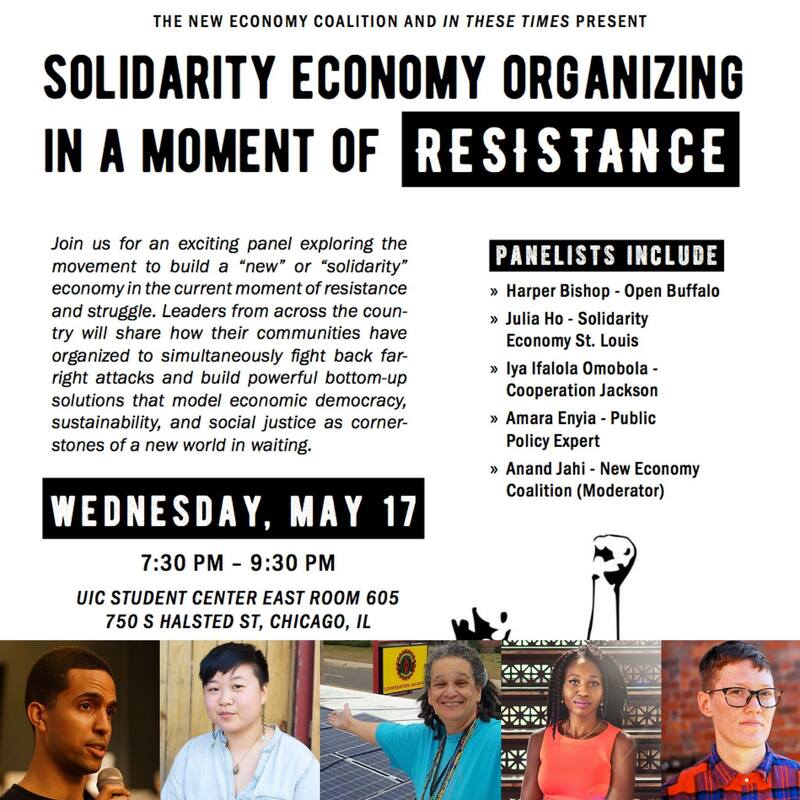 Join us next Wednesday, May 17th for a livestream of an exciting panel co-hosted by In These Times exploring the movement to build a “new” or “solidarity” economy in the current moment of resistance and struggle. The panel features leaders from across the country sharing how their communities have organized to simultaneously fight back far-right attacks and build powerful bottom-up solutions that model economic democracy, sustainability, and social justice as cornerstones of a new world in waiting. Learn more and RSVP on the event page. A New World From The Ashes Of The Old: Solidarity Economy Organizing In a Moment of Resistance will be at the University of Illinois, Chicago Student Center.